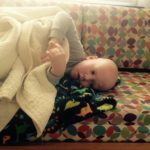 Declan Reagan was diagnosed with Acute Myeloid Leukemia in May 2016. While in the hospital Declan was showered with toys from our friends and family. The inspiration for his foundation began one day with a large delivery of toys and Declan’s giving spirit. Declan sat in his room sorting through all the toys: some he would keep and share with his twin, Adrian; and the others he gathered together for his sick friends. From that day on Declan would give away toys he received to other kids he met while living in the hospital. 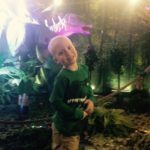 Declan’s love of dinosaurs has no limits and earned him the nickname “Declan the Dinosaur” by another oncology patient. He shared that love with everyone, often correcting medical staff on proper dinosaur names. He aspired to be a paleontologist when he grew up; he wanted to “dig up dinosaur bones”. Upon completing his treatment, the Declan the Dinosaur Foundation was created. Declan became an advocate for pediatric cancer, blood donation, and the bone marrow registry. 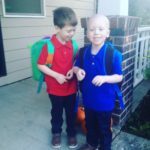 Just a month after starting his foundation Declan’s cancer returned, he then spent an additional 16 months in and out of the hospital. Declan gained his angel winds on May 25th, 2018. He will always be remembered for his adorable smile and infectious giggle. The Declan the Dinosaur Foundation carries on in memory of Declan’s giving spirit.